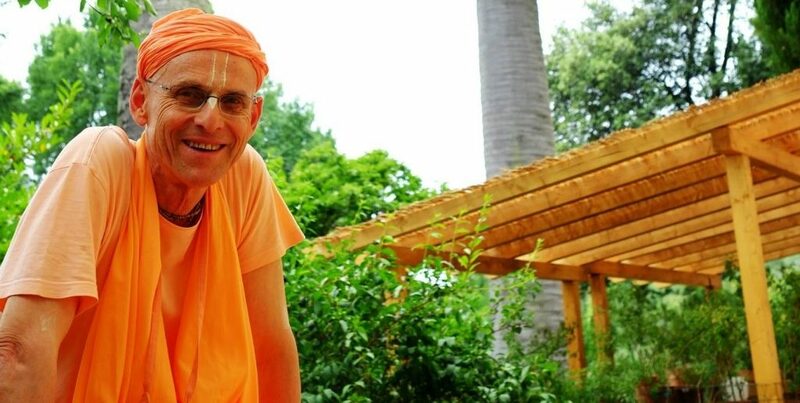 After leaving the Czech Summer Camp, Kadamba Kanana Swami stayed for one night (04 July) at the Prague temple. He needed this little recess to gain some strength after the busy days at the camp. 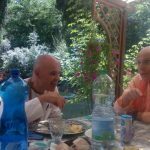 It was just a quick stop though, as we were already thinking about the upcoming kirtan event in Italy which was happening over the weekend (08-10 July). 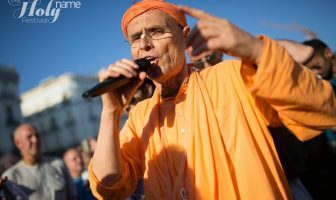 En route to Florence, we did another stay-over in Berlin where Maharaj did an evening program at the temple. On Wednesday (06 July), as we stepped-off the plane in Florence, we knew that we were in for some hot weather. 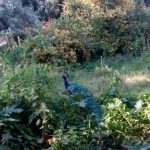 Since we arrived at Villa Vrindavan a few days before the start of the Sravanam Kirtanam Festival, Maharaj had time to settle in and prepare. He even led kirtan a few times before most of the guests arrived, to warm up for the weekend. On the first day of the festival, Maharaj gave the morning lecture where he spoke from the 12th canto of Bhagavatam. The verse (12.3.51) described Kali yuga and the people in it as an ocean of faults, but Maharaj especially focused on a different aspect i.e. the chanting of the holy name. He elaborated on something he had already said a few times in the recent past which is: chanting is our saving grace! Maharaj explained that we are too weak to perform heavy austerities or to meditate, etc. 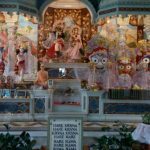 like people used to do in other yugas, so the only thing that can save us is to chant the holy name and to rely on Caitanya Mahaprabhu’s mercy. 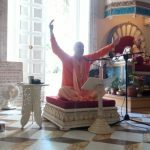 Maharaj made the point that the importance of chanting can never be overestimated. 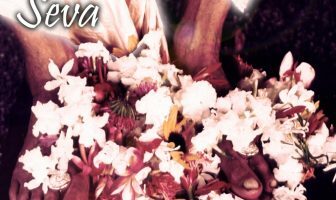 The question of which service is the “best” came up, to which Maharaj responded by saying that pure devotional service in all its forms is always equally transcendental. However, in our conditioned state, we cannot always see this so in order to uplift ourselves, chanting is the way! He was also asked to say a few words to inaugurate the festival later that day, but in a way this was already done in the morning class! 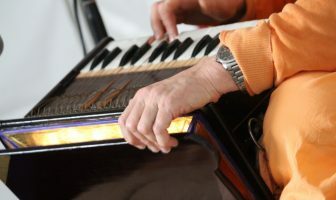 In the afternoon, Maharaj led a wonderful kirtan in a slightly slower than usual fashion. 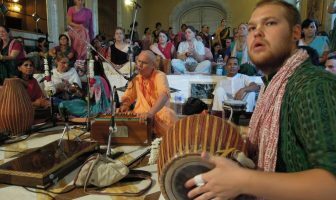 Madhava Prabhu complimented Maharaj on the kirtan afterward and said that he would steal that tune! After leading kirtan, Maharaj didn’t leave the temple room straightaway but stayed-on to listen to some of the other kirtaniyas. 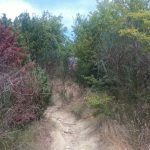 Since Villa Vrindavan is located on a hill, we struggled to find a suitable route for our daily walk. One day, we went down the hill but when we came back up soaking in sweat, we didn’t do that again! 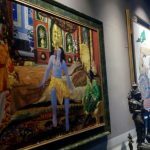 The temple president showed us around their art museum which has paintings from all kinds of different pastimes. The paintings were really impressive and some took the space of a whole wall as they were that big. 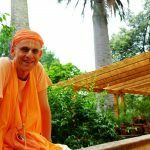 We stayed for almost week after the festival had ended and Maharaj was asked to give two more Bhagavatam classes so he did. The Bhagavatam verses were from the 6th canto where Prahlad Maharaj was instructing his demoniac friends about the dark well of household life. 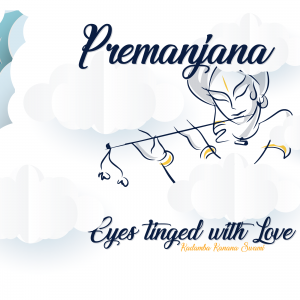 After speaking about enjoyment and entanglement, Maharaj gave a conclusion on the matter – there is nothing wrong with enjoying and Hare Krsna devotees don’t oppose enjoyment as long as we do not engage in sinful activities because this is how one gets entangled with the material energy again! Rather, we enjoy devotional service. 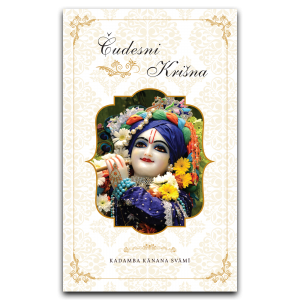 Maharaj also clarified the meaning of the words ksudratma (small minded person) and mahatma (broad-minded person). He explained how we should try to see the bigger picture of things, to see the long-term perspective and not to live in the moment only. The goal of life is to go back to Godhead after all! 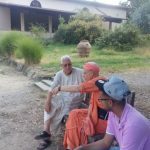 Since we were in Italy, Maharaj adapted his diet too. 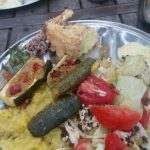 He started having salad and stayed true to one of his favourite sayings, “When in Rome, do as the Romans do,” which he would always mention when putting some extra olive oil on his prasadam. 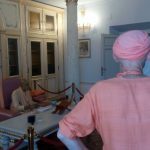 For the remainder of our time in Villa Vrindavan, Maharaj needed to recover from the intense period of events of the previous weeks, including all the travelling and meeting with lots of people! On 16 July, we flew to London next to attend the famous Ratha Yatra there! Visit Flickr to see all the photos.